Product prices and availability are accurate as of 2019-04-19 22:01:38 UTC and are subject to change. Any price and availability information displayed on http://www.amazon.com/ at the time of purchase will apply to the purchase of this product. 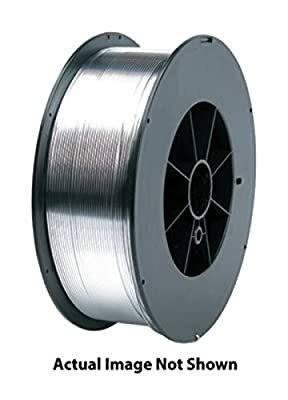 Special Metals Inconel 82 ERNiCr-3 .035" Dia Filler Metal comes on a 30 lb spool and is sui for gas-tungsten-arc, gas-metal-arc as well as submerged-arc welding of Inconel alloys 600/601/690, Incoloy alloys 800/800HT and Incoloy alloy 330. Filler Metal having tensile strength of 80000 psi can be used for surfacing of steel. Filler metal provides high strength and good corrosion resistance including oxidation resistance as well as creep-rupture strength at elevated temperatures to the weld metal deposited by its use. Filler metal supports dissimilar-welding applications such as joining Inconel alloys, Incoloy alloy 330 and Incoloy alloys to nickel, Monel alloys, stainless steels and carbon steels. It can also be used to join stainless steels to nickel alloys and carbon steels.